H.R. Giger, the Swiss artist responsible for ruining sleep for millions of people, died Monday night after a fall at age 74. Influenced by H.P. Lovecraft, his vividly nightmarish style across various media led him to work with numerous directors, most famously creating the Alien from Ridley Scott's classic. In memoriam, here's a collection of some of Giger's iconic work through the years. 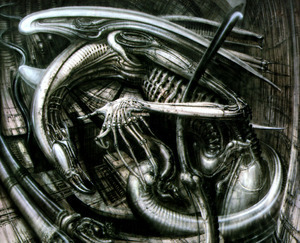 One of Giger's main themes was the connection between man and machines, which he called "biomechanics." Throughout his life, Giger suffered from night terrors, and his first paintings began as a form of art therapy after studying interior and industrial design. While Giger worked in sculpture and ink drawings, the airbrush became his main tool of trade. He designed the Harkonnen Chair for Dune while Alejandro Jodorowsky's was attatched to direct. Eventual director David Lynch never used the chair as a prop, but Giger said that Eraserhead had come closer to Giger's vision than his own films. 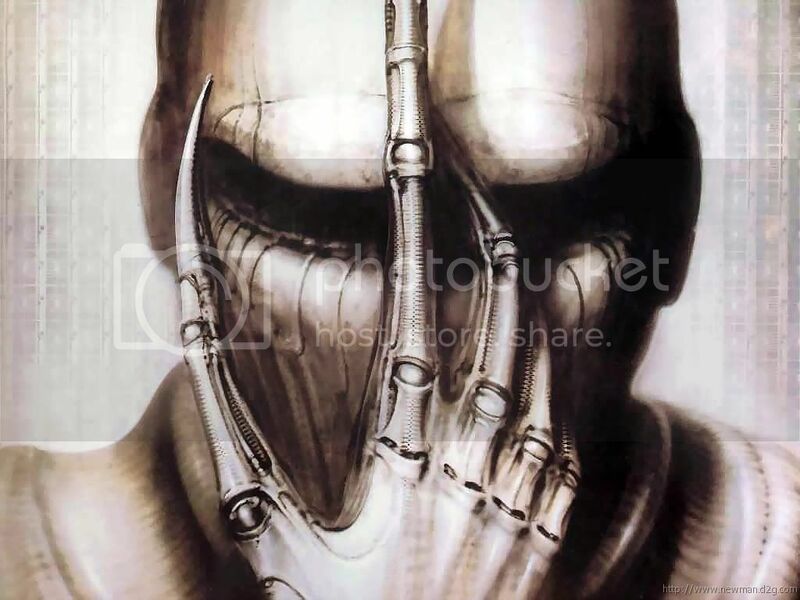 Giger did the interior design for a few bars, which feature his iconic "biomechanical" designs. It was not surprising that Giger's designs were very influential in the tattoo and fetish communities. 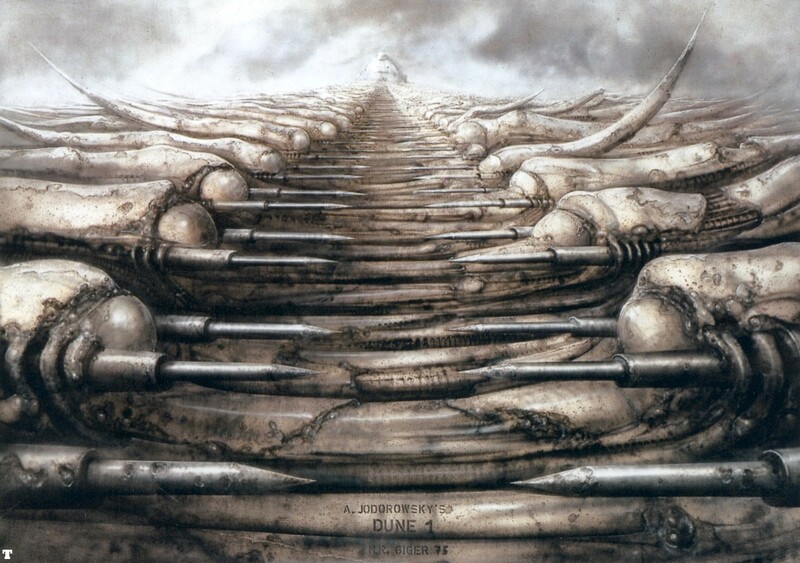 Giger was involved with Prometheus, creating murals and other designs for the film. 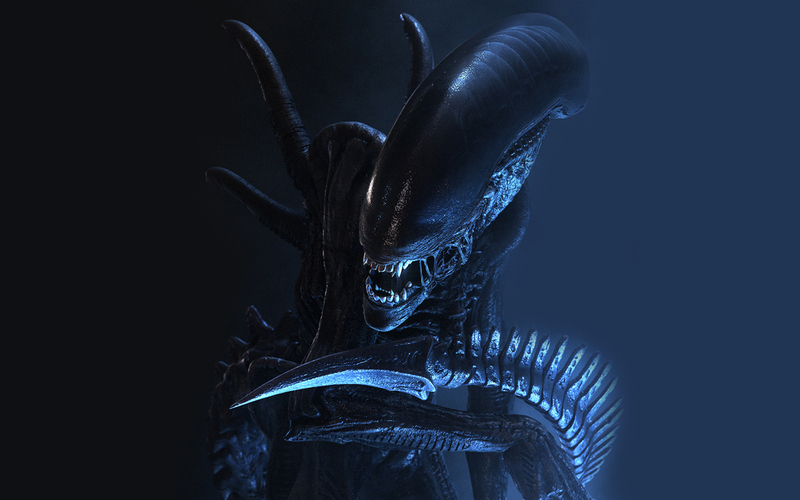 35 years later, this is still the most terrifying Alien of all time. We won't be surprised if it never gets topped. Ethan Wolff-Mann is Supercompressor's Gear editor. He may never have a good dream again. Follow him on Twitter @ewolffmann.